These, along with four more blocks, are already available in the file but I need to add more colors like pink, red, and violet. Now, these are three objects but with at lease three different shade of the same color. Is there an easy way to change the color so that the shades are taken care of automatically i.e. 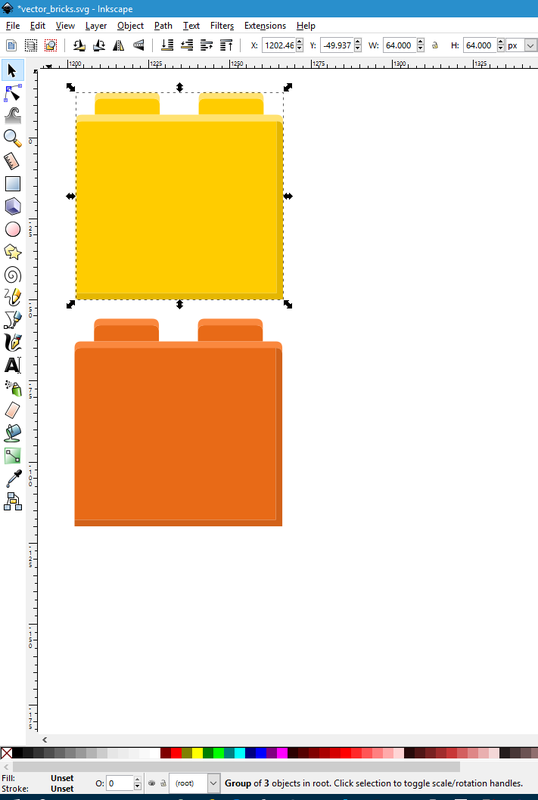 work on the block object only and not handle the three objects separately? I have Photoshop available apart from Inkscape. There is indeed "Filter > Color > Color Shift", but I think in your case, you should have an object, used as a base color, then some semi-transparent shades of gray above it. So you'd only have to change the base object's color.